A tepid 3 stars for this collection. 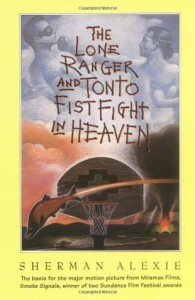 A friend at work is an Alexie fan, and when I came across this book for 50 cents at the library, I picked it up. None of the stories were bad, some were quite good, but I never connected with any of them emotionally, and too many felt self-consciously contrived. There were two moments of connection, however, that make me willing to read more Alexie and just pushed this volume into the 3-star range.